¿Cuáles son las tendencias en cadena de bloques (blockchain), criptomonedas (cryptocurrency), ciberseguridad y gestión automatizada? ¿Cuál es el futuro de FinTech en Argentina y Latinoamérica? 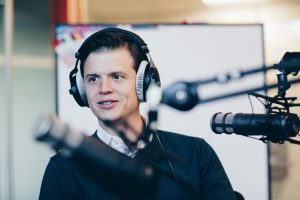 Únanse para una conversación entre Lee Ullmann (@MITSloanLatAm), director de la Oficina para América Latina de MIT Sloan; Pablo Wende (@PabloWende), economista y periodista de Infobae y conductor de “Pablo y a la Bolsa” por FM Milenium; y Ariel Arrieta (@aarrieta), mercadólogo, emprendedor serial, co-fundador y socio administrador de NXTP Labs (@NXTPLabs). Platicaremos sobre las nuevas tendencias e innovaciones en materia de fintech. La plática por Twitter tendrá lugar el 22 de mayo desde las 15:00 hasta las 16:00 ART (2:00 – 3:00 PM ET). ¿Cómo pueden participar? ¡Es sencillo! Si tienen una pregunta, respuesta o comentario, simplemente incluyan #MITFinTechLatAm en sus Tweets. 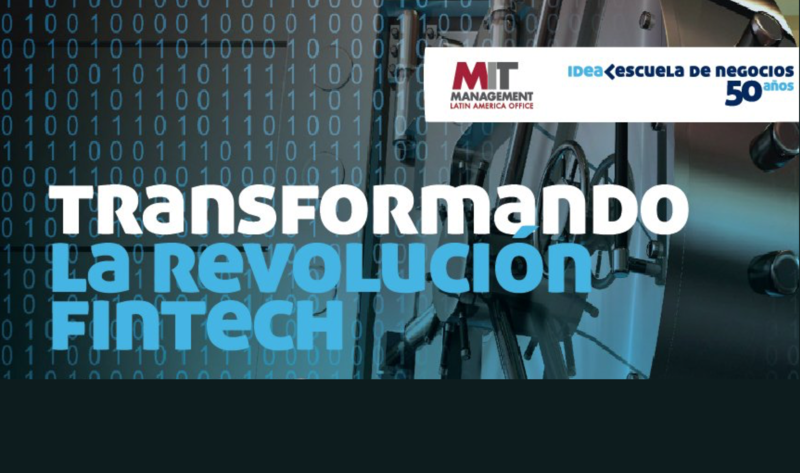 La conversación en Twitter es un precursor de la conferencia “Transformando la revolución del FinTech” organizada por la escuela de negocios MIT Sloan junto a la organización empresarial IDEA. Tendrá lugar el 29 de mayo en Buenos Aires, Argentina. La conferencia reunirá a investigadores y líderes de instituciones gubernamentales y presentadores. Entre ellos buscarán destacar las numerosas formas en que la incipiente tecnología financiera está alterando diversos segmentos del mundo financiero, entre ellos, monedas, títulos valores, préstamos, pagos y gestión patrimonial. En promoción de las ideas de la conferencia, tendremos una conversación en Twitter sobre el futuro de FinTech en Latinoamérica, así como otras ideas de interés a tratarse en la agenda. These were just a few of the questions tackled by Deborah Lucas, the Distinguished Professor of Finance at MIT’s Sloan School of Management and the Director of the MIT Golub Center for Finance and Policy, during the #MITSloanExperts Twitter chat on October 30. Joined by host Amy Resnick, editor of Pensions & Investments, she asked Lucas questions about the future of financial regulation and housing market finance reform, as well as ideas for fostering stronger ties between the regulatory and the academic communities. Did you miss the chat? That’s OK, but we’ve encapsulated everything in the Storify below. Deborah Lucas, the Distinguished Professor of Finance at MIT’s Sloan School of Management, and the Director of the MIT Golub Center for Finance and Policy, will discuss the 10-year anniversary of the financial crisis during an #MITSloanExperts Twitter chat on October 30 at 12 p.m. EDT. As the 10-year anniversary of the great financial crisis approaches, Lucas will focus on answering what have we learned and whether we have made enough progress to prevent a repeat of something similar. Lucas’ recent research has focused on measuring and accounting for the costs and risks of government financial obligations. Her academic publications cover a wide range of topics including the effect of idiosyncratic risk on asset prices and portfolio choice, dynamic models of corporate finance, financial institutions, monetary economics, and valuation of government guarantees. An expert on federal credit programs, she has testified before Congress on budgeting for Fannie Mae and Freddie Mac, student loans, and on strategically important financial institutions. The host of the chat will be Amy Resnick, editor of Pensions & Investments. Resnick will ask Lucas questions about the future of financial regulation and housing market finance reform, as well as ideas for fostering stronger ties between the regulatory and the academic communities. To join the chat, be on Twitter on October 30 at 12 p.m. ET and follow the hashtag #MITSloanExperts. Questions can be submitted in advance or in real-time, using #MITSloanExperts.